It started slowly, then all at once. 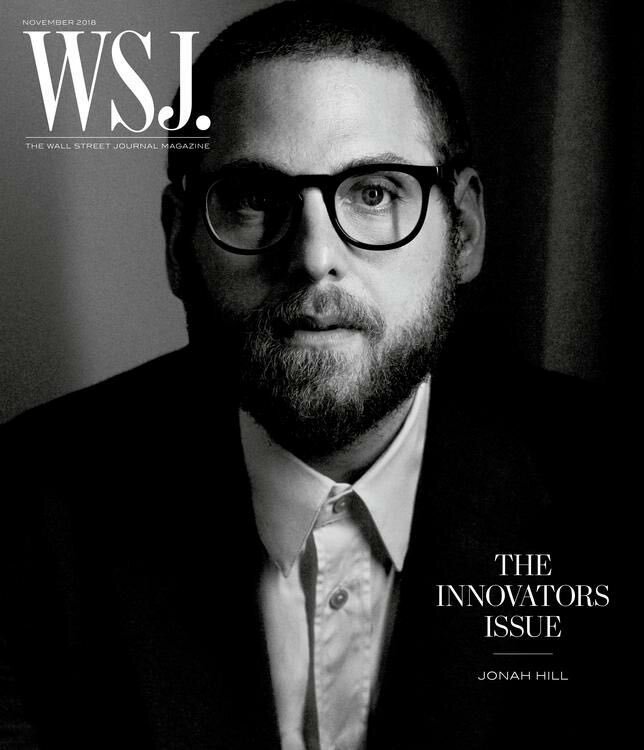 I cannot actually pin the exact start of Jonah Hill’s transformation before our very eyes from comedic jokester to highbrow intellectual, and yet Jonah Hill’s new “auteur” image has been plastered on numerous magazine covers, from GQ to the Wall Street Journal. Did this reconfiguration begin with the drama “True Story” with James Franco, in which I first realized he could act in dramas? Or was it just this year that his new image really jumped off, with his directorial debut “Mid90s” and his critically acclaimed performance in Netflix’s “Maniac” alongside Emma Stone? Is Jonah Hill’s one-man campaign to recreate his public image the work of a self-promotional visionary or a clueless dreamer? That is the key question here — whether the public buys Jonah Hill’s portrayal of his “true self” and takes him, and his work, seriously. Is it working? The journalistic community appears to think so. The New York Times recently published a piece titled “Jonah Hill is no Joke.” The AV Club beseeches interviewers to “Please stop shitting on Jonah Hill.” Critics are treating “Mid90s” very carefully. The Washington Post has lauded it as “a thoughtful, unfussily authentic coming-of-age story of youthful curiosity, loneliness and self-discovery.” However, The Guardian, while acknowledging the film’s stylistic merits, has conveyed that it is a “frustratingly flat coming-of-age tale that shows an actor struggling to find anything of interest to say.” Regardless, major publications believe that this is a “vérite” coming of age film that should be strongly considered and weighed on an artistic scale. Perhaps the problem isn’t that Jonah Hill is an artist more than a jester at heart, or that his new public construction of self is too in-your-face to be true, but rather, that he is trying too hard to declare himself an “auteur.” He is taking himself too seriously. His new style (or costume) of “director’s glasses,” beard and stoic expression show a level of self-importance the public isn’t ready for. On Twitter, Vulture columnist Hunter Hayes commented “we get it” in response to his obvious new director image. Other commenters simply acknowledged that his publicist deserves a raise. Yet, I can’t fault Jonah Hill too much for this blatant 180-degree switch in persona. He truly has what it takes to provide range in artistic pursuits. I had the utmost delight watching “Maniac,” a retrofuturistic psychological miniseries directed by Cary Fukunaga. His acting matched academy-award winner Emma Stone, in depth and in breadth. His portrayal of depression, schizophrenia and paranoia struck a chord deep within me. His character journey was so pronounced, so moving, that I wept hard and long at the end. I honestly would be scoffing at his reinvention if it weren’t for his measured performance that proved he has the talent to back it up. Jonah Hill’s character transformation, I’m sure, will be studied for years to come by arts enthusiasts, pop culture pundits and publicity junkies. I am proud to say that I have witnessed it in the flesh, and I have a newfound appreciation for Jonah Hill, Auteur. Previous articleWill “Game of Thrones” end with a bang or a whimper?